Holland native Arend Visscher was an alumnus of Hope College and the University of Michigan Law School. 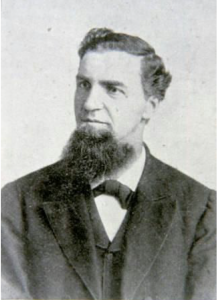 He practiced law in his hometown, representing the Christian Reformed Church (CRC) in the 1883 State of Michigan Supreme Court case against the Reformed Church of America (RCA). Visscher championed major beautification projects in Holland, including developing Prospect Park and lining the city’s major streets with trees. In 1850, Arend Visscher was born to Jan Arend Visscher and Geesje Vander Haar Visscher in Holland, Michigan. In 1872, he became an alumnus of Hope College. Visscher was the only member of his graduating class. He continued his education at the University of Michigan Law School. Following his graduation in 1875, Visscher returned to Holland. In addition to practicing law, Visscher also became heavily involved in the community. On October 9, 1871, fire blazed a path of destruction through the city of Holland. In the wake of the disaster, Visscher, a strong proponent of Arbor Day and an avid gardener, developed a plan to replant the city’s trees. His vision, however, did not come to fruition for over two decades. In 1895, Visscher co-founded the Holland Improvement Company with community leaders William H. Beach, Isaac Cappon, Gerrit J. Diekema, George P. Hummer, Henry Kremers, Patrick H. Mc Bride, and John C. Post. The Company planned and sponsored beautification efforts throughout the city. Developing Prospect Park was the Company’s first beautification project. In 1901, the company purchased seven and one-half acres from a local man for $1,830.00. After planting trees throughout the property, the Holland Improvement Company sold Prospect Park to the city for $1.00. Following the Company’s success at Prospect Park, Visscher set out to fulfill his personal plan to replant the city’s trees. While the company oversaw the planting of trees on many of Holland’s existing roads, Visscher had the foresight to use this venture as an opportunity for advanced city planning. He hired a surveyor to stake out the paths for future roads. Along the edges of the surveyor’s staked routes, trees were planted, providing a natural lane. As Holland developed and expanded, it was Visscher’s intention that these tree-lined routes would become roads. 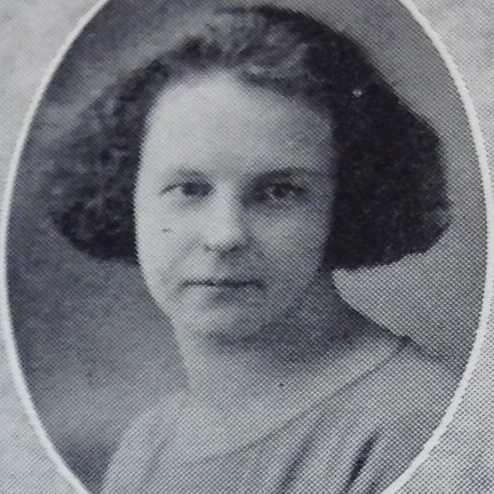 Visscher was also personally responsible for planting trees along College Avenue. He approached city officials for permission to oversee the side project. Since he was the sole funder of the project, Visscher was granted permission to direct the plantings along the route. Although Visscher’s most visible impact on Holland was his commitment to beautifying the city, his legal career yielded results of equal importance. In 1883 Visscher represented the Christian Reformed Church (CRC) in the Michigan Supreme Court case against the Reformed Church of America. In The Consistory of the First Dutch Reformed Church, Harm Brook, et al. v. Tenuis Keppel et al. Visscher brought a property dispute in front of the court. One year earlier, in 1882, members of Pillar Church, an Reformed Church of America institution, aligned with the emerging Christian Reformed Church denomination and seized control of Pillar Church. The men claimed the property and the building for the CRC; those that remained loyal to the RCA tradition opposed the takeover and brought legal action against the CRC. The court ruled in favor of Visscher’s clients. While the CRC retained control of Pillar Church, the court ordered that it allocate $200.00 to the displaced RCA members of the congregation for the purpose of constructing a new house of worship. The court’s ruling divided an already splintered Holland community. Explore the RCA/CRC Split: An Interactive Timeline to learn more about the divisive issues and reconciliation efforts. Visscher was a permanent fixture on local boards and committees. He also devoted his time to overseeing the affairs of his Alma Mater, Hope College. From 1885 until his death in 1921, he sat on the Hope College Council. 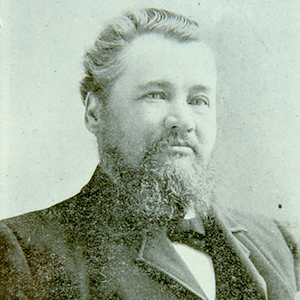 For 13 years, from 1902 to 1915, he served as treasurer of the Council. Through his work on various boards and committees, Visscher served his community. Visscher made an impact on the community of Holland through his foresight and his leadership. His accomplishments, which include the lasting beautification of Holland and the continued legacy of vibrant Christian worship at Pillar Church, have had a lasting impact on the local community. Granberg-Michaelson, Wesley. “COMMENTARY: Burying the Hatchet (almost Literally).” Washington Post, June 18, 2014, Religion News Service sec. H05-1588, Arthur A. Visscher, 1854-1967, Joint Archives of Holland, Hope College, Holland, MI. H97-1301, Pillar Church, 1847-1994, Joint Archives of Holland, Hope College, Holland, MI. Holland, Michigan. “Prospect Park.” Prospect Park. Accessed July 10, 2015. Nykerk, J. B. “The Passing of Hon. A. Visscher.” Anchor, 1921. Visscher, Arend. Holland Daily Sentinel, March 9, 1917. Wichers, William. “Hon. Arend Visscher Goes to his Reward.” Anchor, 1921.